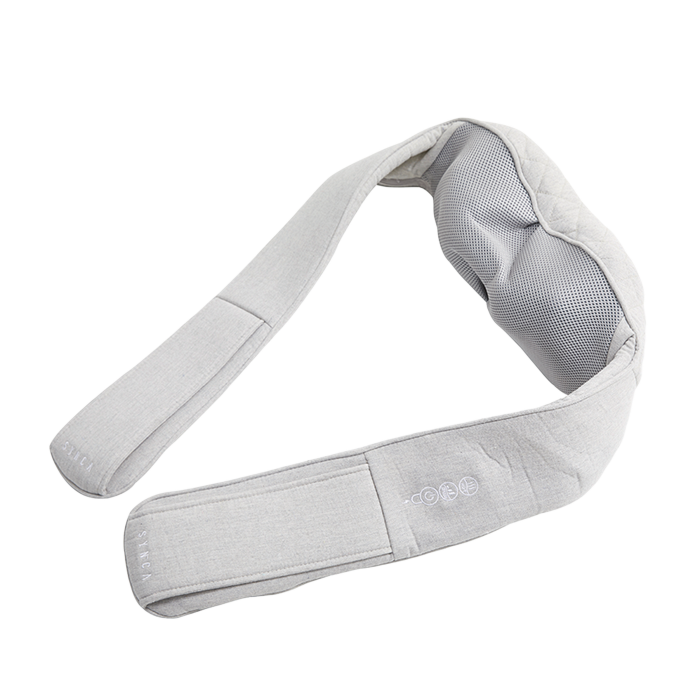 Enjoy a pleasant massage anywhere you like with the Quzy wireless neck and shoulder massager. 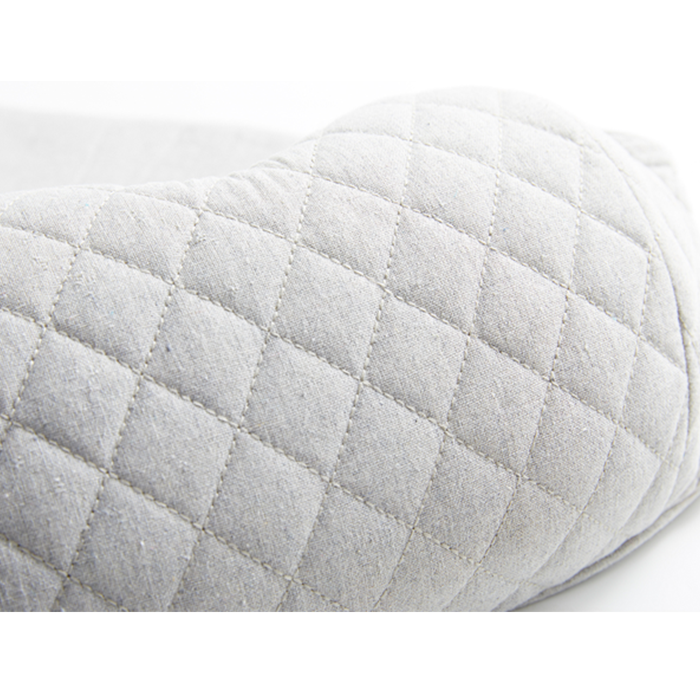 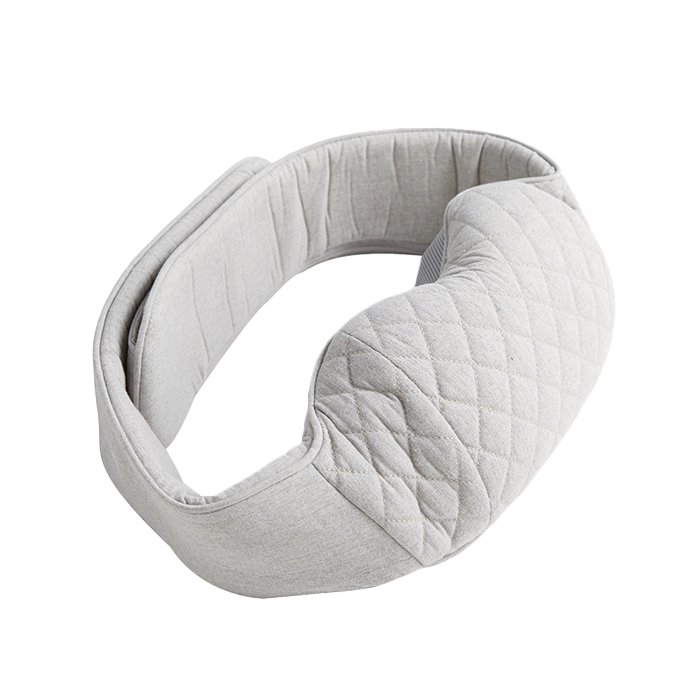 Its soft cotton-like material will wrap you in gentle heated massage without being trapped by a power cord. 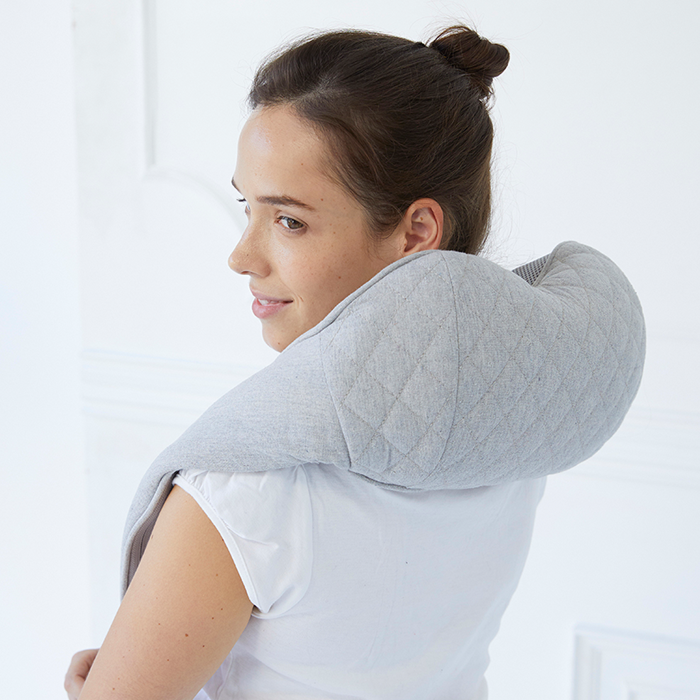 With its approximate 2.5 hours battery life you’ll be enjoying massage wherever and whenever you want. 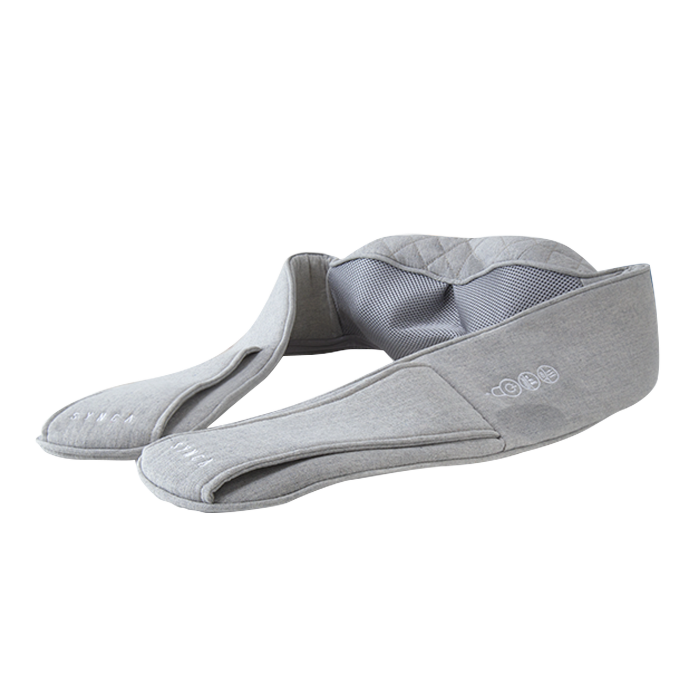 Don’t hesitate to try using your Quzy for massage along your calves, thighs, lumbar, and neck-and-shoulders. Its 8 heated massage heads work at 3 selectable speeds to effectively and deeply massage the targeted ache or pain. 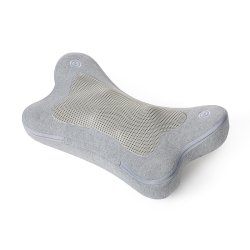 The included wall adapter is small and doesn’t take much space and is interchangeable with other Synca Wellness massage accessories. 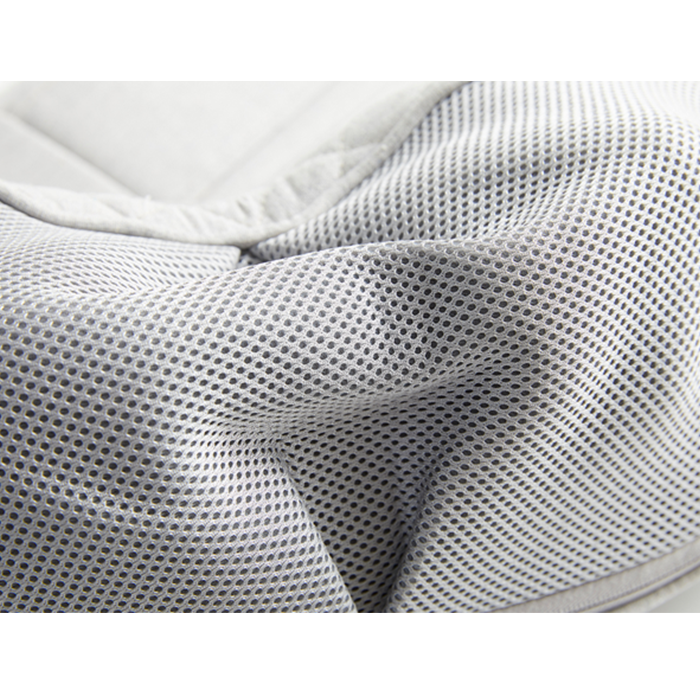 Its modern elegant Japanese design shows the attention to detail you’ll get in all Synca Wellness products. 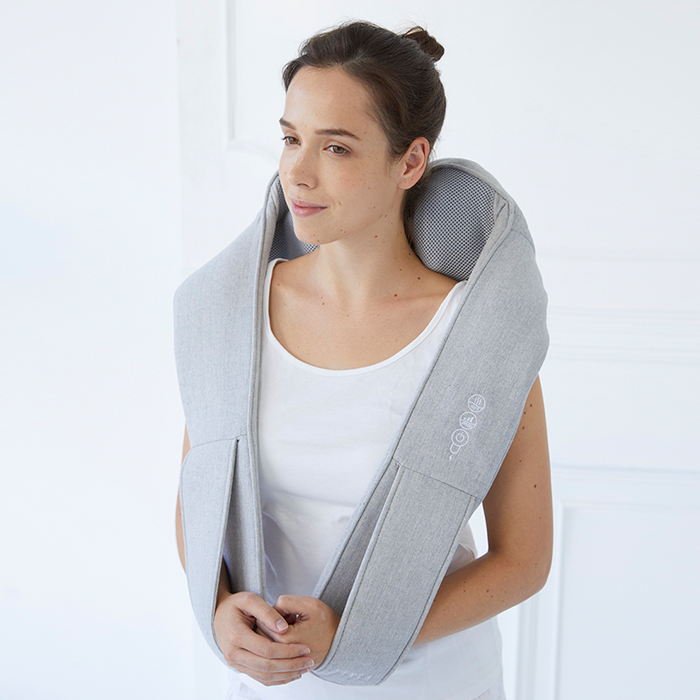 Synca Quzy Neck & Shoulder Massager.